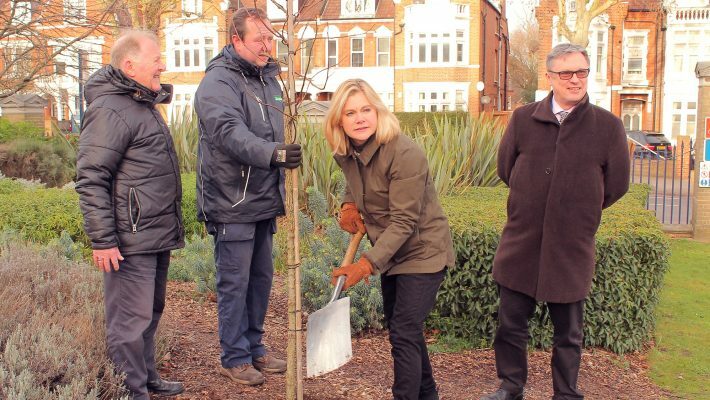 On Friday 18 January, Justine Greening MP for Putney, Roehampton and Southfields visited the RHN. 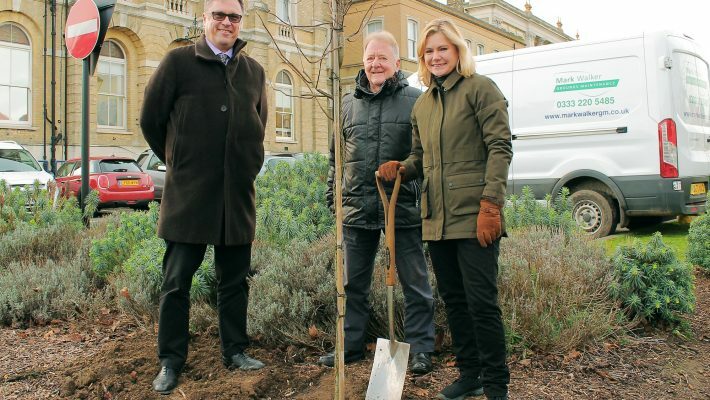 After meeting with Chief Executive, Paul Allen and Director of Fundraising & Communications, Jane Beaven, Justine joined members of the Putney Society on the perimeter of the hospital to plant one of three new trees donated by the Society. As an organisation concerned with all aspects of the community that contribute to the quality of life in the area, John Horrocks of the Society noticed several of the trees that were part of the landscaping scheme at the front of the hospital had died, and suggested replacing them as part of the Putney Society’s tree planting programme. The Society decided on three Liquid Amber (Liquidambar Styraciflua) trees due to their glorious autumn foliage.